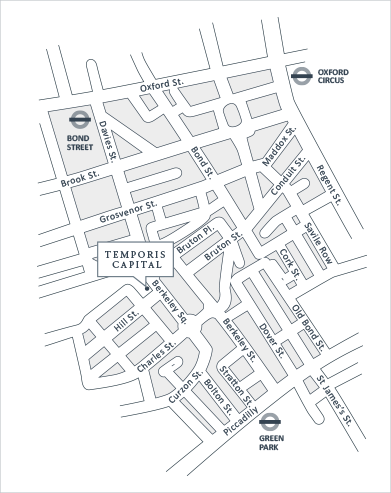 Welcome to Temporis Capital. We are an investment management firm which specialises in the renewable energy and clean technology sectors across multiple asset classes. Climate change, shifting demographics and the pursuit of food-energy-water security present opportunities as well as challenges. Temporis Capital combines financial and sector expertise to take advantage of these opportunities. We pursue investments in sustainable resources and energy efficient technologies to do more with less. Our robust investment and operational policies enable us to deliver consistent returns for our clients. We see challenges and uncertainty as an opportunity. Our approach to risk is not simply to avoid it, but to manage and mitigate it carefully. Building mutually beneficial relationships with clients and counterparties leads to long term working relationships that are core to our philosophy and strengthen our success as a business. We promote high standards of performance and collaboration. We strive to sustain and enhance our competitive edge through investment in our people and the development of effective teams. We are a team of over thirty investment professionals with combined experience of over 170 years in renewables and over 400 years in financial services. Team members have wind, solar, hydro and biomass development experience totalling more than 1000MW and Temporis has been involved in projects with installed capacity of over 450MW. The Temporis Equity Infrastructure team manages a number of private and public renewable energy portfolios together totalling over 250MW in the UK and Republic of Ireland across onshore wind, hydro, biomass, solar, energy efficiency and landfill gas technologies. We typically engage with developers in the pre/post-consent, pre-financing stage of a project on an equity only or project financed basis. The target project size is between 500kW and 60MW with a flexible investment approach covering joint ventures and outright acquisitions. We have a track record of delivering added value solutions to our investors and partners at every stage of the project life cycle. For further information please contact Matthew Ridley, Roger Denby-Jones or Andres Senouf. Temporis Capital provides long term project finance to the UK onshore renewable sector through its direct lending platform. Funding is provided for new projects, either in the construction or operations phase, as well as for refinancing existing projects or portfolios. The target market for loans is 500kW to 60MW, although consideration can also be given to projects outside those parameters. For further information, please contact Andres Senouf. The modern world depends on food, energy and water. The world is facing crises in the availability of these vital natural resources. Temporis' investment philosophy is that the global economy is facing huge structural change across these fundamental sectors. These dislocations are creating excellent conditions for implementing an active investment strategy. Disruptive technology and government interference are creating uncertainty and volatility in global equity prices leading to undiscovered investment opportunities. For further information, please contact Roger Denby-Jones or Andres Senouf. Matt is a member of Temporis’ Executive Committee and has overall responsibility for the Equity Infrastructure Team. Matt has developed and constructed over 150 MW of renewable energy assets with a transaction value of >$400m. Before joining Temporis, Matt was an investment manager at Climate Change Capital and prior to that he was a tax lawyer at the leading US law firm Debevoise & Plimpton LLP. He holds a BSc. (Hons) degree in Mathematics from the University of Exeter. Andres focuses on building a distribution capability and raising capital, both for the Temporis group and for projects. This involves handling the banking relationships and developing relationships with strategic investors. Andres started his career at Lehman Brothers where he spent four years trading interest rate options and structured notes. He then spent six years at Morgan Stanley where he was responsible for structuring derivative products for Latin American institutions and high net worth individuals. In mid-2000, Andres was hired by Goldman Sachs to structure credit derivative products for European clients. He ended his six year tenure running the Iberian structured product sales area. 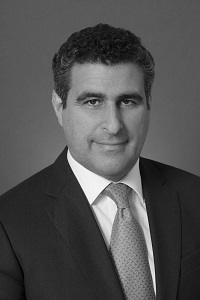 Andres holds a BA in Economics and a Masters in International Economics and Finance both from Brandeis University. Andres speaks English, Spanish, Portuguese and his native French. Ian has successfully invested in private and project equity for financial institutions over the past 12 years. 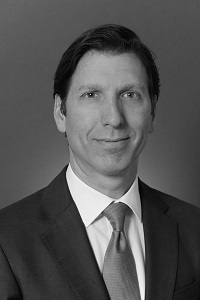 He was a senior member of the infrastructure and private equity investment groups of AIG and Deutsche Bank. In 2007-2008 Ian built the solar photovoltaic portfolio at Banque AIG, one of the largest portfolios in Spain, before profitably selling it at an enterprise value of about US$ 400 million to HG Capital in 2009. From 2003-2007 he co-founded and co-headed the renewable principal investments business within the sales and trading division of Deutsche Bank, successfully investing and profitably exiting over US$ 150 million across 8 countries. Prior to Deutsche Bank, Ian worked as a consultant at McKinsey & Co. Prior to joining Temporis, Ian was interim CEO of Engyco PLC, a company aiming to be Europe’s first listed independent solar power utility. 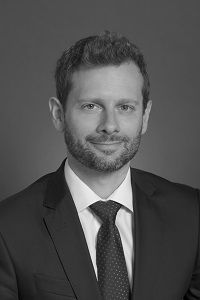 Ian has a Juris Doctorate from Yale Law School, a Masters in War Studies from King’s College London and a Bachelors degree with majors in Physics and Government from Wesleyan University, Connecticut. He has held director positions on the boards of 12 companies in the renewable energy and e-commerce businesses on behalf of Banque AIG and Deutsche Bank. Derry’s responsibilities at Temporis centre on the overall operational management of the business. 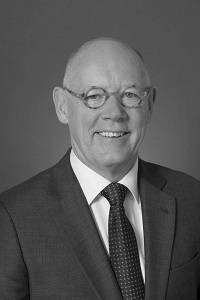 Derry has responsibility for the efficient running of both the group and the transactions, being responsible for coordinating the execution of initiated transactions. Derry was the founder of Riverview International Group Inc., a New Jersey based hedge fund-of-funds which he sold to Gartmore and its parent Nationwide Mutual Insurance of Columbus, Ohio in 2002. 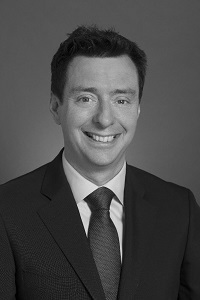 Prior to this Derry has a background in investment banking and structured finance having worked for Samuel Montagu, Babcock & Brown and having been a partner at National Leasing & Finance (now Highbridge Properties). While at National Leasing & Finance Derry undertook both agency business and investment business including completing the first PFI lease to British Rail (£300 million in 1995) and being involved in the early development of buildings in London Docklands. Derry began his career qualifying as a Chartered Accountant with Arthur Andersen. He has a BA in economics from the University of Wales and an MSc in Business Administration from the London Business School. Since 2010 David has been instrumental in reshaping the direction of Temporis Capital, and now has responsibility for leading the group strategically as well as sourcing and originating new business. David began his career with Investec working in the market risk team. In 2003 he moved to DRKW where he worked in the ABS team. From August 2005 David worked at Peloton Partners. David has a first class honours degree in Chemistry from University College Cork and a PhD in Physical Chemistry from Cambridge University. His thesis focused on the partial oxidation of natural gas to syngas. This involved collaboration with Shell as a possible route to avoid ‘flaring off’ of methane over oil wells.